A lot of people say that they want to learn a new language. 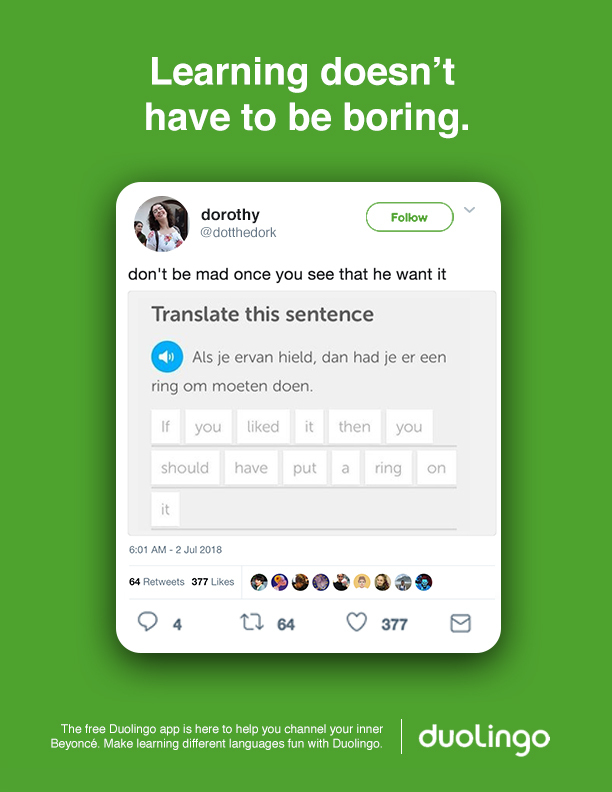 Duolingo provides them with a way to learn a language on the go. 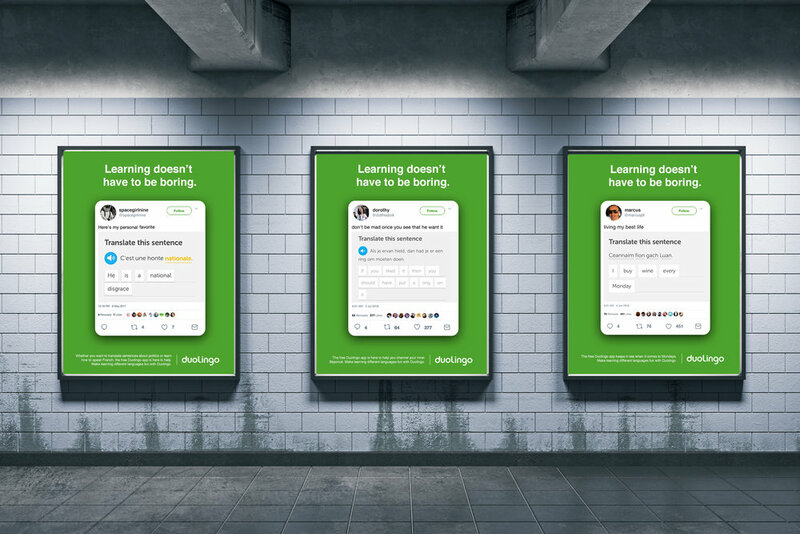 The ask was to create a print campaign that inspires people to learn a language with Duolingo. We highlighted some of the responses people received when they used the app. These are real tweets from people who posted their responses on their Twitter page.